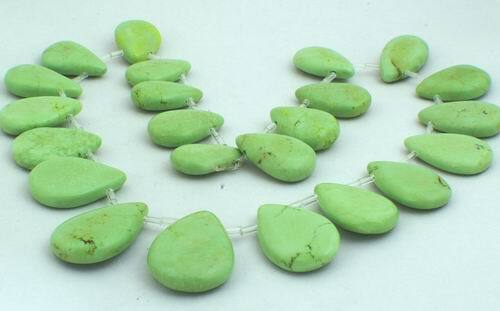 Price is per 16-inch strand of these beautiful beads - about 23 teardrops in all - top-drilled. Sizes gradualte from 22mm x 15mm x 7mm to 27mm x 18mm x 6mm. These are ideal to restring for a necklace. Made from reconstituted gaspeite.